Ilias KACHMAR is a Business Engineer. 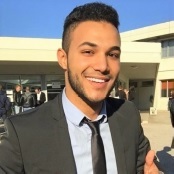 After being under-graduated in electronics and computing sciences from the University of Bordeaux, he obtained a Master degree in Strategy & Business Development from KEDGE Business School and integrated the Specialized Master in Commodities Trading & Asset Management at the Paris ESLSCA Business School. He began his career as Business Developer for the semiconductor giant STMicroelectronics in Paris, and would like to pursue his career in the world of energy trading. previousWhy has Lendix decided to increase its SME lending capacity? nextLa finance et l’écologie, la reconciliation est elle possible ?